The schedule administrator can adjust the grace period for the location in the 'Admin' tab options. 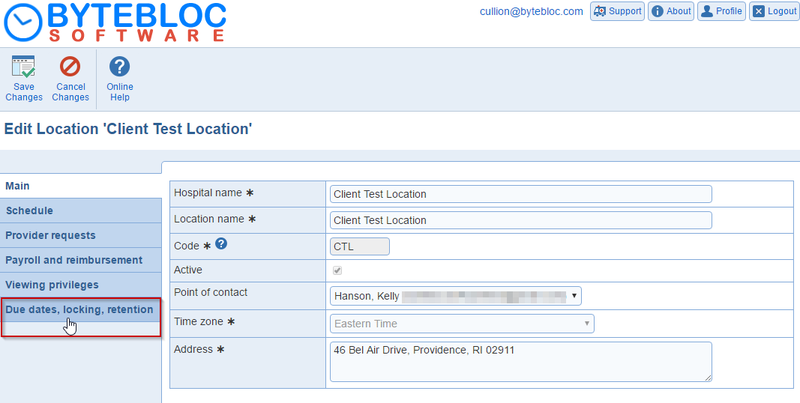 After the check box is checked, select the 'Edit Location' button or double-click on the name of the location. Scroll down to the 'Due dates, locking, retention' tab. The 'Locking grace period (days)' option can be updated from 0 to 14. Lastly, click 'Save Changes' to apply update. Providers will need to confirm their hours within the set grace period number of days. The schedule will automatically lock after the number of grace period days. Generate reports for the 'As-worked' schedule in the 'Scheduler' tab.